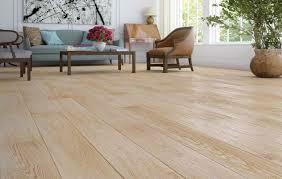 There are many different types of laminate flooring. They are produced in many colours, decors and various surface textures. Plank sizes vary from small to big and they offer possibilities to create very interesting patterns. Some types of laminate are only for use in dry rooms and some types can be used in humid rooms like kitchen and bathrooms. Probably the biggest difference is in thickness. Thickness ranges from 6 to 14 mm and determines use and durability of flooring.